Jeremy Sosabowski is very good at telling you what will happen in the future. In fact he or, more precisely,the company he co-founded, is certain of it. What, then, does he see coming for AlgoDynamix? 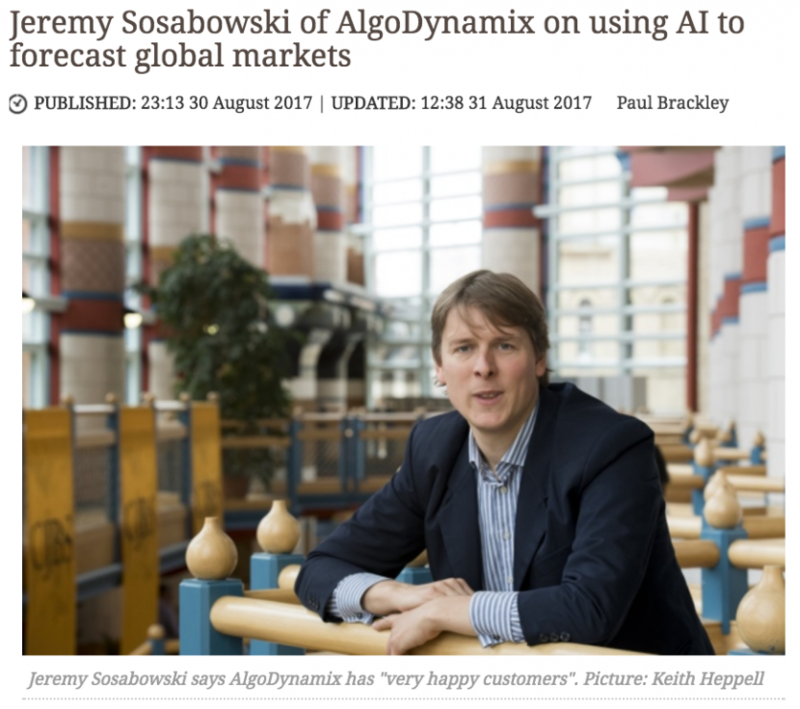 The calls keep coming for AlgoDynamix, a highly innovative risk analytics company with a base at the Cambridge Judge Business School and a business development team in London. The firm is about to announce its latest big deal – with a major investment bank in the Netherlands. It’s also just been signed up by a large asset manager in Germany.